Minister Stephen Hurd sets the stage for his debut choral release, with the go-go inspired first track “We’re Gonna Have a Good Time”. This is, perhaps, an understatment, as he and his choral group, Corporate Worship, ensure that you have a great time in worship and praise with them. Hurd, an accomplished writer, producer and choral director, cut his teeth on some solid gospel foundations. His previous work is with the late Donald Vails’ DC Choral Kaleidoscope and Gospel Music Workshop of America projects. He has now stepped out on his own to do what is apparently near to his heart – praise and worship. “We’re Gonna Have A Good Time” showcases Hurd’s love for and ability to engage the listener in the worship experience. Sometime comedic, sometimes serious, always inviting, Hurd proves to be a diverse yet consistent worship leader. The production on this project is not clouded with “extras”, giving a pure, at church feel. “I’ve Gotta Praise”, puts onto track that 'interlude music' you hear in your head when something good happens to you. You know…the music you wish you had on hand sometimes when you find that twenty-dollar bill, or you get a promotion at your job? Straight shouting music – still praise. Minister Hurd writes and/or arranges on seven of the eleven tracks. 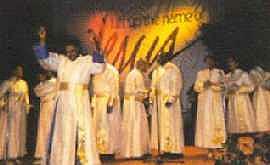 Other tracks are penned by such notables as Sandra Crouch (the infectious island jam, “Goodbye World”) and Glen Woodward (“Jesus”) of CLC fame. 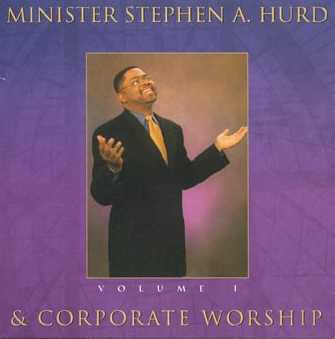 Of particular note is Hurd’s solo effort on the praise ballad “Your Glory”, a raw rendering of heartfelt praise. In true praise song fashion, simple-versed and ever modulating, this song takes you to the proverbial “there”, purely on its sincerity and unrehearsed feel. Though musical content is solid on this project, it is Hurd’s obvious joy in praise and worship and his ability to make this joy a corporate experience that makes this project one to check out.